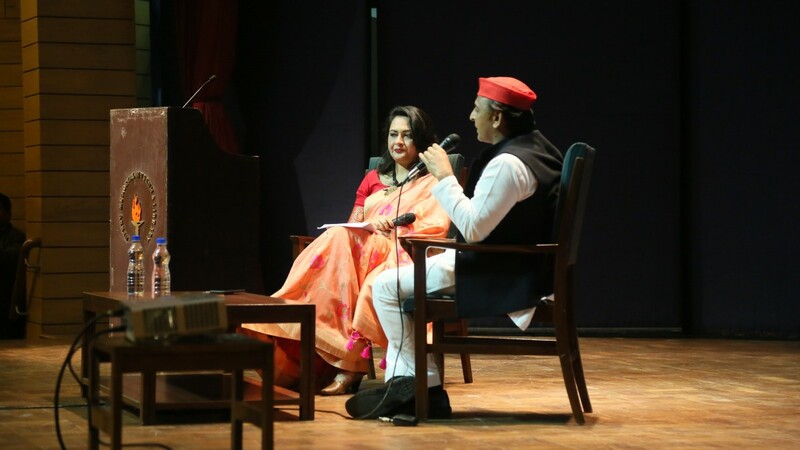 The former UP chief minister and Samajwadi Party chief answered questions at The Wire Dialogues on February 9. New Delhi: Reviving the “dual membership” controversy that broke the Janata Party government of 1977, former Uttar Pradesh chief minister Akhilesh Yadav turned his sights on the BJP’s Hindutva ideology, accusing the party of being more loyal to the Rashtriya Swayamsevak Sangh than to India’s constitution. “Congress is a part of the UP gathbandhan too. We have left two seats for the party. UP has only 80 seats. If there were more, we could have thought of giving it more seats,” he said. 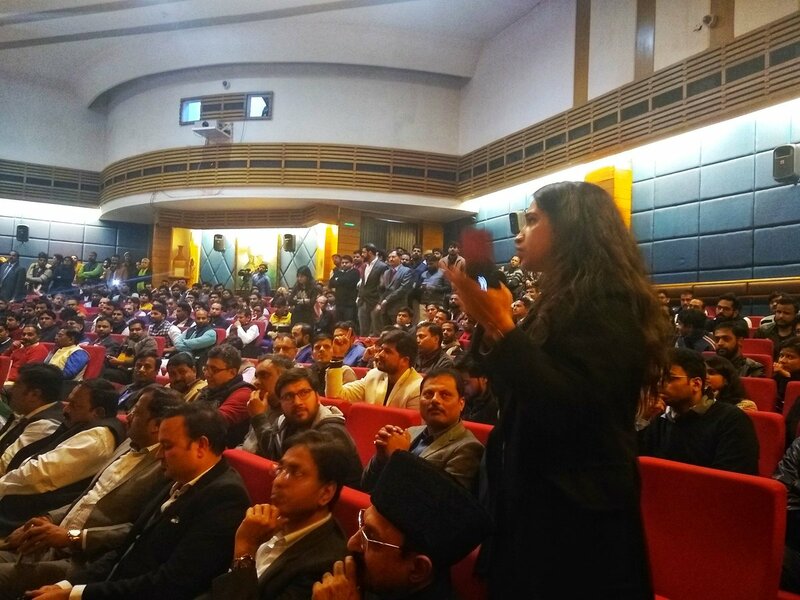 The former chief minister was in conversation with The Wire‘s senior editor Arfa Khanum Sherwani at The Wire Dialogues, a public event organised here to celebrate the second anniversary of The Wire Hindi‘s launch. The Janata Party was a conglomeration of various anti-Congress parties that included both the socialists and the BJP’s earlier avatar, the Bharatiya Jana Sangh (BJS). Its government fell when the socialists objected to BJS ministers’ dual membership of both the Janata Party and the RSS. The refusal of ministers in question – Atal Bihari Vajpayee and Lal Krishna Advani – to give up their RSS affiliation led to the party’s unnatural death. The BJS then regrouped to form the BJP. He added that the people who have this dual loyalty are now so well-placed in the current regime that there is no check on how the “samvidhan (constitution)” is being violated. “RSS ke log aaj unche padon mein baithe hai (RSS members have occupied top positions today),” he said. To a question on the recent controversy over the new 13-point roster in the university system, he said, “RSS ke log hi ab vice-chancellor ban rahe hai. Toh 13-point roster toh hoga hi. Governor bhi saare unhi ke log hain (Only those who are affiliated to the RSS become vice-chancellors. So naturally they will implement the 13-point roster. All the governors are also their people),” he said. Many in the academic community argue that the new roster will significantly reduce the number of reserved posts for Dalits and Adivasis. They have demanded that the previous system of the 200-point roster be reinstated. On Prime Minister Narendra Modi’s description of a united opposition as “mahamilawat”, or ‘the great aduleteration’, Yadav said that the BJP itself has relied on coalitions every time it has come to power. “In 2014, the BJP was in coalition with smaller parties in UP. What will you call that?” he asked. “I just want to say that those who were responsible for the differences between us – the two parties which stand up for the backwards – will now be shown the door,” he said, but did not clarify whether he was referring to the BJP or party insiders. However, he said that the emerging opposition unity was not merely an electoral formula but a “vichaardharaon ka sangam (unity of ideologies)”. 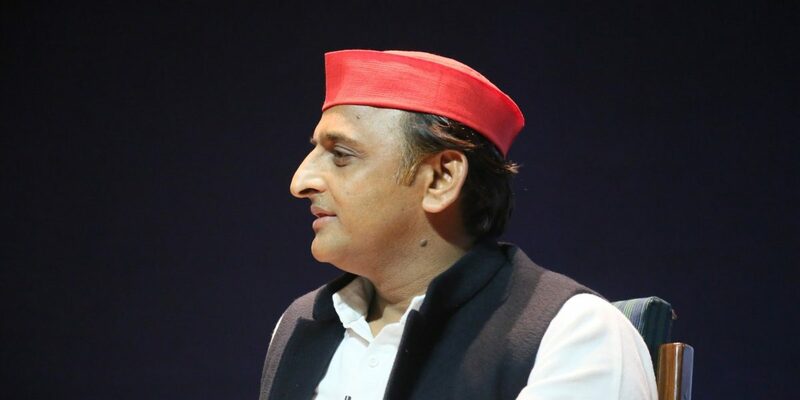 “On the other hand, wherever you go today in UP – be it government offices or police stations – people are first asked about their caste before their concerns are addressed. The BJP had earlier only divided the society on religious lines, but now they are spreading hatred among different castes too,” he said. “The BJP has made us realise that we are backwards. I was born into a caste. I had no control over my birth. But my government was giving laptops to people and focused on the general well-being of the marginalised. But the BJP only wants to put us in our place,” he said. To a question on the 10% quota for ‘economically weaker sections’ that the Union government put in place recently, he said, “I have been saying that all groups should get reservation in proportion to their population. Let them do it. Let everyone be counted.” He said the results of the caste-wise enumeration conducted a few years must be made public. Many political analysts have earlier said that the logical outcome of extending the quota system to the general category in the future could be some sort of proportionate reservation. In that case, the OBC groups, which have the greatest strength in the population, would have the maximum share in jobs. Yadav’s statement indicates that the Samajwadi Party, whose voter base comprises a large chunk of OBC groups, may use that argument politically in the future.